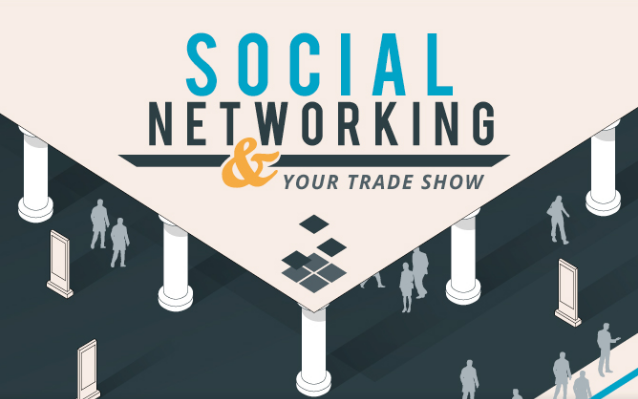 If you're looking for tips on how to manage social networking at trade shows and other events, you should check out this great infographic by Northwest Creative Imaging that I found on the Event Manager Blog. While this infographic focuses on trade shows, I think their advice lends itself to seminars, workshops and other membership events as well. And since event, and in particular, trade show networking is all about connecting with participants in order to convert that initial engagement into new supporters or members - the infographic includes tips and ideas for pre- and post-event social media activities as well as tactics to apply during the actual event. Pre-Show: Before the show, they advise that “preparation is key in reaching out to prospective clients” and offer tips on using Facebook, Twitter, Foursquare, Pinterest and blogging,” as well as integrating your social media networks. Have a look at the infographic below for great social networking tips and statistics.